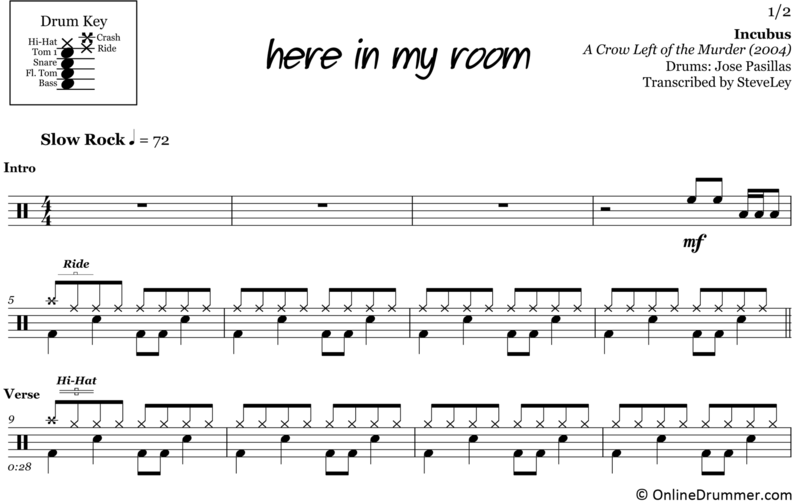 The full drum sheet music for “Here In My Room” by Incubus from the album A Crow Left of the Murder (2004). One of Incubus’ most laid-back songs, Jose Pasillas lays down a drum track that is great to play along with for any level drummer. That’s not to say Pasillas should have played more. It’s important to play for the song. He’s nailed it.